Whether you're strolling around town or spending the day at the beach, you're sure to turn heads with this adorable screen tote bag. 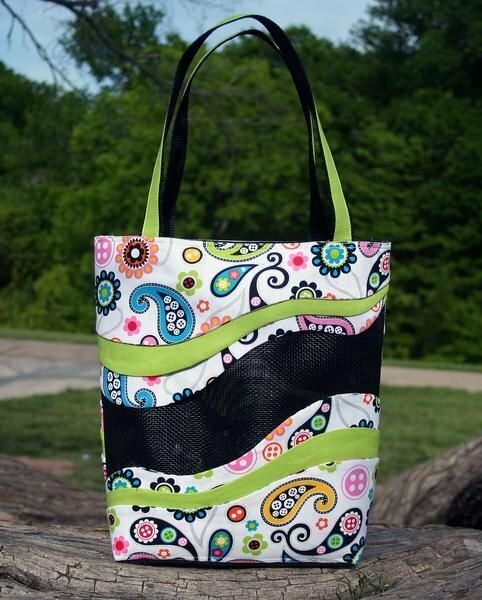 The multi-tiered fabric layers give the bag a girly look and a sassy feel. A full size paper template is also included with the pattern. Finished Size is 12-1/2" Wide x 11-1/2" Tall x 4" Deep.